Vivekananda Kendra Kanyakumari in association with Snehalaya, a local NGO of Tinsukia working for disable children, conducted one assessment camp for deaf and dumb children of age group between 2 to 4 years on 5th November 2017 at Tata Referral Hospital, Chabua, Dibrugarh, Assam. Dr. Sanjay Sachdeva, Director and Head of ENT and Head & Neck Surgery, Max Hospitals, New Delhi examined 13 young poor and needy children in the camp and selected 7 children for Free Cochlear Implant at Max hospital, New Delhi. The children will be sending to New Delhi for their free surgeries in a phased manner. 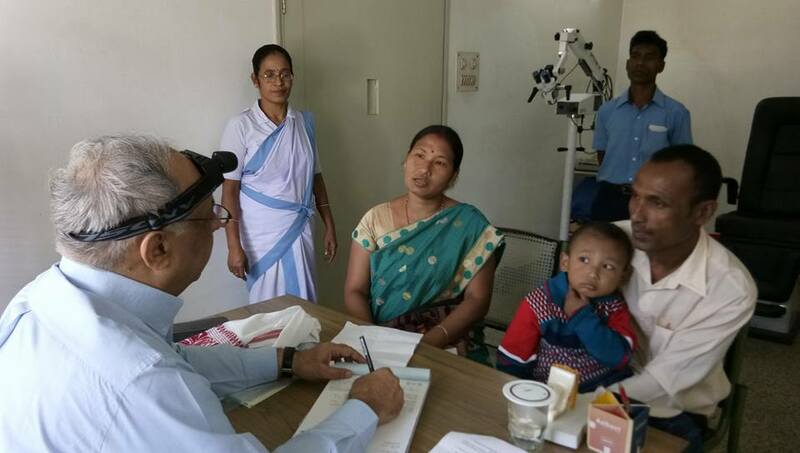 It is to be mentioned that in August 2017, three small girl children from Tinsukia district of Assam got operated and Cochlear devices were successfully implanted at Max Hospital, New Delhi by Dr.Sanjay Sachdeva and his team. Now these three children are getting their regular speech therapies at Tinsukia. Sri Arpan Sarmah, Audiologist from Amplifone(Audiology unit of Max Hospital, Saket, New Delhi) also accompanied Dr.Sachdeva Sir and adjusted the volumes of all the three children and done their brain mapping. The Max Hospital team is very happy and satisfied with the progress of the children and is hopeful that within six months the children will acquire normal hearing and will be able to speak.